Dr. Stimmel is the Interim Dean, John Stauffer Decanal Chair, and Professor of Clinical Pharmacy, Psychiatry and the Behavioral Sciences at the University of Southern California School of Pharmacy and Keck School of Medicine. Stimmel earned his Pharm.D. from the University of California, San Francisco and completed a one-year residency at Langley Porter Neuropsychiatric Institute in San Francisco. Dr. Stimmel is a founding member and Past President of the College of Psychiatric and Neurologic Pharmacists. He is a founding member, elected fellow, and Past President of the American College of Clinical Pharmacy and an original member and past Chair of the Board of Pharmacy Specialties' Specialty Council on Psychiatric Pharmacy Practice. Dr. Stimmel has served on the Board of Directors of the American Association of Colleges of Pharmacy and as Vice-chair of ASHP's Commission on Therapeutics. He is an elected member of the World Association for Sexual Health since 1999 and an elected member of the Sexual Medicine Society of North America since 2005. Dr. Stimmel has authored over 230 articles and textbook chapters in the areas of clinical psychopharmacology, expanded scope of practice for pharmacists, and pharmaco-economics of psychotropic drugs. He pioneered efforts in developing psychiatric pharmacy practice, education and residency programs, as well as investigating and securing prescriptive authority for pharmacists in California. Dr. Stimmel maintains a clinical practice at LAC/USC Geriatrics Primary Care Clinic providing psychopharmacology consultation services and teaches clinical psychopharmacology in the Schools of Pharmacy and Medicine. 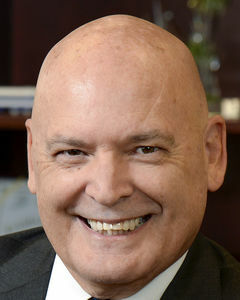 Dr. Wells is Dean and Professor at The University of Mississippi School of Pharmacy and Executive Director of the Research Institute of Pharmaceutical Sciences. She earned her B.S.Ph. and Doctor of Pharmacy degrees at the University of Tennessee and completed a residency in psychiatric pharmacy at the University of Tennessee and Memphis Mental Health Institute. Dr. Wells was on the faculty at her alma mater for thirteen years, where she served as Vice Chairman of the Department of Clinical Pharmacy and Director of Mental Health Pharmacy Programs. 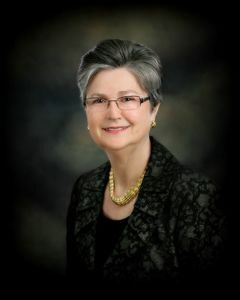 Subsequently she served Samford University School of Pharmacy as Chairman of the Department of Pharmacy Practice and Idaho State University as Dean of the College of Pharmacy. Dr. Wells has served as President and Chair of the Board of Directors of the American Association of Colleges of Pharmacy (AACP), President and Chair of the Board of Regents of the American College of Clinical Pharmacy (ACCP), Vice chair of the Board of Trustees of the ACCP Research Institute, member of the NIH Advisory Committee on Research on Women’s Health, member of the Psychopharmacologic Drugs Advisory Panel of the FDA, member of the Board of Directors of the American Foundation for Pharmaceutical Education, Vice Chair of the Commission on Credentialing of the American Society of Health-System Pharmacists (ASHP), Chair of the Council of Deans of AACP, Chair of the Section of Teachers of Pharmacy Practice of AACP, chair of the Argus Commission within AACP, Chair of the Board of Pharmacy Specialties (BPS), and member of the Specialty Council on Psychiatric Pharmacy within BPS. She is a fellow of ACCP and ASHP and a board certified Psychiatric Pharmacist. Dr. Wells, whose primary instructional interests are in psychiatric therapeutics, has received seven teaching awards. She is a recipient of the Robert G. Leonard Lecture Award from the University of Texas College of Pharmacy and the Texas Society of Health-System Pharmacists, the Judith Saklad Memorial Lecture Award from the College of Psychiatric and Neurologic Pharmacists, the Clinical Pharmacotherapeutic Practice Award from the American Pharmacists Association (APhA), the Education Award from ACCP, the Robert K. Chalmers Distinguished Pharmacy Educator Award from AACP, the Dean’s Award presented by the American College of Apothecaries, and the Gloria Niemeyer Francke Leadership Mentor Award from APhA. She is a member of the National Academy of Practice of Pharmacy, National Academies of Practice, and a co-editor of Pharmacotherapy: A Pathophysiologic Approach, Pharmacotherapy Handbook, and Pharmacotherapy Principles and Practice.